(by the Editors, WashingtonExaminer.com) – As World Car-Free Day, Sept. 22 may be the most politically correct day on the calendar. [It probably] isn’t a coincidence that the British Medical Journal chose this week to [publish] a study that found being exposed to auto pollution increases a [person’s] risk of having a heart attack within one to six hours by approximately 1.5 percent. Despite the tiny increment of purported risk, expect to see uncritical references to the study in coverage of World Car-Free Day throughout the liberal… mainstream media where anti-automobile studies are nearly as popular as automobile ads. 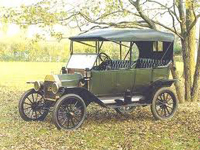 But fair-minded people with a knowledge of history understand that we should be exceedingly thankful for the automobile and its crucial role in the economic, social and political progress achieved since Henry Ford put America on wheels in 1908 with the Model T. Note that average life expectancy in America that year for men was 49.5 years and 52.8 years for women. Today, the overall average life expectancy in America is 78.37 years, a 58 percent improvement for men and a 48 percent gain for women. So much for the killer exhaust fumes. Most Americans in Ford’s day lived on farms and made their living through physical exertion. They also lived relatively isolated lives because they were separated by distances that could only be traversed using horses or walking. That meant their access to medical care, education, employment opportunities, and recreation was extremely limited. By pricing the Model T to make it affordable for the vast majority of Americans, and paying his employees wages that enabled them to buy what they built, Ford revolutionized American life for the better in virtually every way. It is no exaggeration to say Ford’s Model T freed rural America from its isolation and thereby ushered America into an era of previously unthinkable opportunity. The widespread affordability of the automobile in America made possible the nation’s rapid evolution from agrarian society to industrial powerhouse. It is all but impossible to chronicle all of the great things made possible by the mobility created by the automobile. Farmhands with limited economic prospects were liberated to move to cities where multiple jobs were available, with incalculably greater opportunities for improved family, social, spiritual and educational lives for them, their spouses and their children. New industries sprang up everywhere in large part because of the mobility made possible by the Model T.
Sadly, it’s precisely that individual mobility that makes Big Green environmentalists obsess about forcing “drivers out of their cars and into public transit.” But the more they try, the more Americans reject subways and buses and choose instead to drive to work, school and a zillion other destinations. That’s why Ford should have called his Model T the “freedom machine” and why we should celebrate it today. Posted at WashingtonExaminer.com on September 21, 2011. Reprinted here on September 22, 2011 for educational purposes only. 2. List the reasons the editors give for supporting the use of the automobile. 3. Read the “Background” below for an explanation of World Car-Free Day, and the goals of the project. Do you agree with the reasoning of the editors who wrote today’s commentary, or with the reasoning of those who are pushing for a “car-free” world? Explain your answer. The present (car-based) system is dangerous, injurious and menaces our health as one of the most debilitating public health menaces of our era. It provides poor value for money – for individual car owners as well as others. And for the taxpayer in terms of bang per public buck. It is socially unjust and discriminatory to the poor, racial minorities, women, children, the unemployed, and people with physical disadvantages. To all those who cannot or should not be driving a car (a very large number in fact). And to those who chose not to drive a car. It consumes and wastes resources on an intolerable scale. Despite the fact that it costs an arm and a leg to both individual citizens and the community as a whole, the system is steadily degrading in environmental, performance and economic terms year after year.